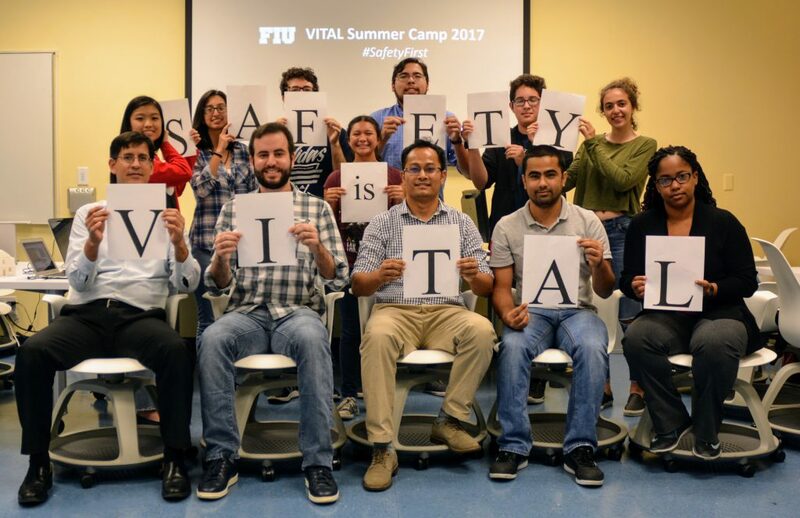 VITAL Summer Camp 2017: Students say, "SAFETY is VITAL"
The theme for VITAL Summer Camp 2017 was #SafetyFirst. 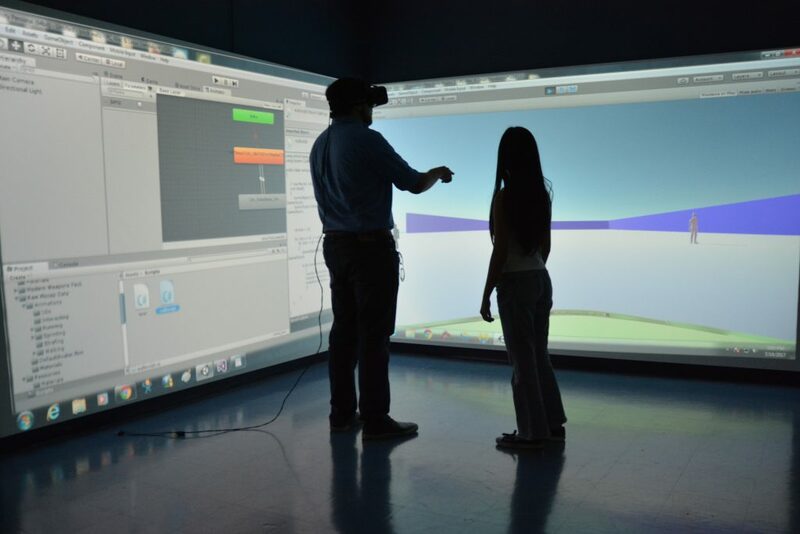 The camp was organized at the Moss and Associates Built Environment Informatics Lab in collaboration with Dr. Mario Eraso, STEM Coordinator at the School of Computing and Information Sciences. Armando Carrasquillo (undergraduate student at FIU) lead the instruction with the help of Sudip Subedi (PhD student at FIU), Alberto Camacho (undergraduate student at FIU) and Filip Klepsa (undergraduate student at FIU). High school student from AAA High School Program, Ferguson High School, Coral Gables High School, Miami Springs High School and iPrep Academy participated in the 2 weeks (3 hours a day) long camp. 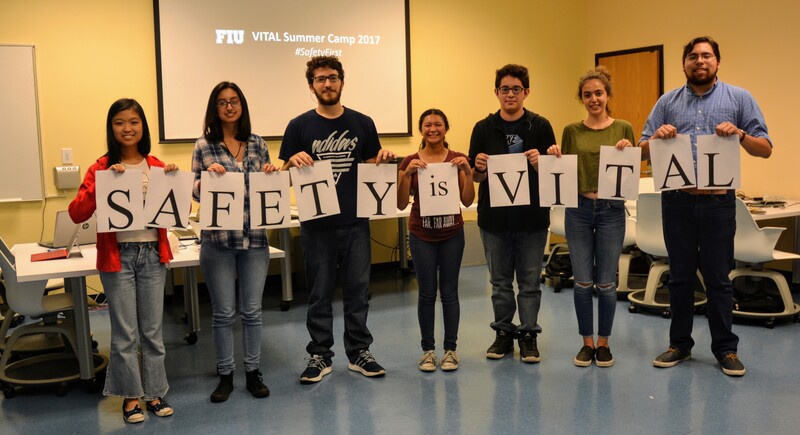 The format of the class was same as “VITAL Summer Camp 2016” where the students learned about the basic concepts in the first week and are exposed to a project-based learning environment in the second week. Since the theme was #SafetyFirst, the students were supposed to produce an interactive game that teaches the players about safe ways to perform certain tasks. The students were free to choose the tasks but the safety measures and recommendations had to come from a recognized source. Besides promoting public and occupational safety among youngsters, the camp was designed to teach computer programming, 3D modelling and creating animations to the students. Below are sample projects created by the students with different safety themes. In the future, human beings have slowly lost all common sense and been dying because of stupid mistakes(like no you can’t poke a fork in an outlet). Therefore, by then it is required by law for every human being to take the common-sense course to maximize humanity’s chances of survival which consists of 1,985,624 courses(Good luck!). In course 1, you will learn how to safely put out a grease fire. Safety in the City is an interactive experience in which the player is kicked off their home planet to Safe City, the safest planet in the universe! Explore multiple warehouses to gain a better understanding of practical safety through animations and activated objects. Teaching aliens how to lift a box safely.